Today we had an adventure. I am off sick from work for a week because I have shingles, which is a very painful version of chickenpox. So today I did not take Darla to Day care. We met with Grandpa for lunch at our favorite Mexican restaurant. Then we went to Disney’s California Adventure. 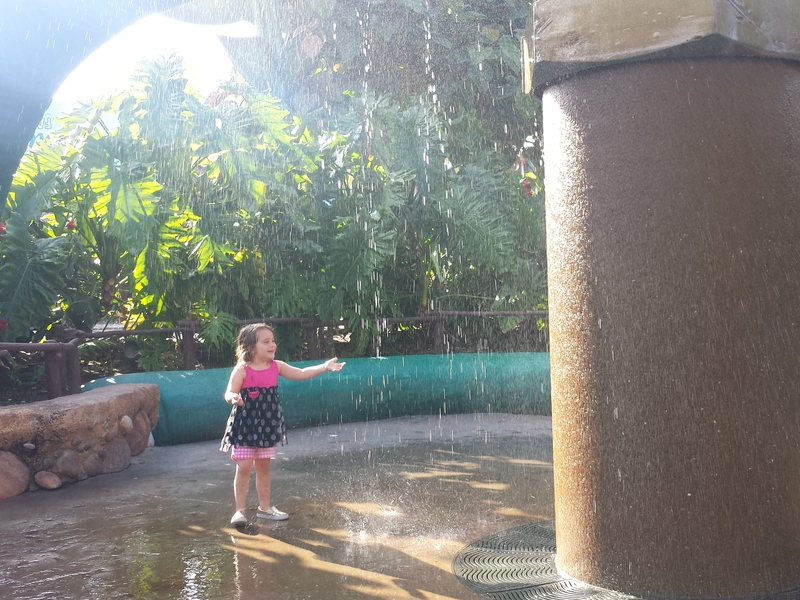 this is Darla playing in one of the water attractions. Later we would go to the movie and eat popcorn before driving home. she was sound asleep before I pulled into the driveway. I am constantly forgetting that she has a little can. I love to listen to her talk. The singing from the back seat gets on my nerves. But today was fun. we needed new adventure and we had one.